Cruise and McQuarrie complete another successful mission with Fallout. 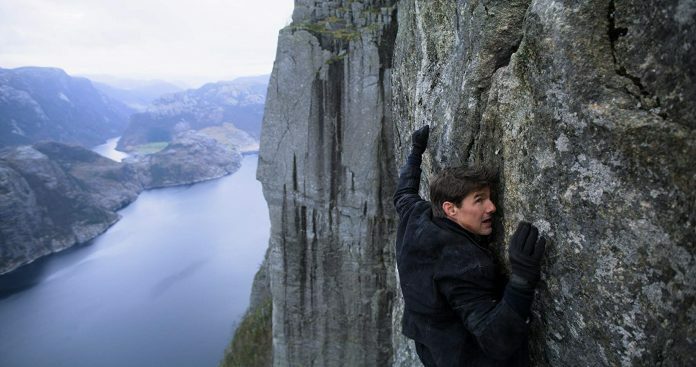 Mission: Impossible – Fallout continues two years after the capture of Solomon Lane with the ‘Syndicate’ now known as the ‘Apostles’, their plan is to obtain three plutonium cores to create nuclear weapons and use them in an attack on the Vatican, Jerusalem and Mecca, Saudi Arabia, all with the help of the anonymous John Lark. It is up to Ethan and his team to find the weapons and stop the attack with the CIA monitoring their every move. The mission impossible franchise has always been one with mind-blowing action sequences, fights and stunts; the first film will forever remain iconic with a more espionage story and genre to it, as the films went on they always kept their ‘spy’ roots, but the action always increased. The previous two films took action to the next level, took stunts to new heights and stretched Cruise to impossible feats, but Fallout outdoes them all. Fallout has multiple set pieces that keep you on edge, the brutal fight in the gentlemen’s room, the breathtaking skydive scene and the convoy chase specifically are superbly done; the fighting is vicious and tough and edited so that we are aware of what is happening unlike many action films nowadays. 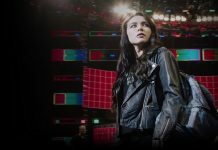 The film is paced well, none of the slower scenes bore you, and the fast-paced action scenes are long enough that you don’t get weary of them. The story picks up well from previous films, it is exciting and brings the characters to new depths and continuing their development. Each actor looks comfortable in their role and brings a now known team to life every time they are on screen with undoubted chemistry. Fallout is a spectacular blockbuster that deserves a viewing in the cinema; it deserves to a viewing on a big screen with clear sound (as all films should really). It is thrilling, remarkable and electrifying; it outdoes all previous Mission Impossible films and could be regarded as one of the best action films ever produced… until the next one.